‘Towards Transparency’ looks at what the industry and geographical scope of the ALP policy the impacts the introduction of this legislation would have for transparency and accountability in Australia and globally. The report finds that of the 802 companies listed on the ASX who are involved in commercial production in the mining, oil, and gas sectors, 67 companies would be required to report under the proposed ALP mandatory disclosure law. Six of those 67 companies already report under a mandatory disclosure law, as they are listed on either the London Stock Exchange (LSX) or the Toronto Stock Exchange (TSX) leading to new disclosures from 61 companies; includes Australian incorporated companies such as Iluka Resources, Woodside Petroleum and Santos Limited, and overseas incorporated but ASX listed companies from major global extractive companies not currently reporting under any other jurisdictions mandatory disclosure law, including AngloGold Ashanti and MMG Limited. The 67 publicly listed companies had a combined market capitalisation of approximately $320 Billion AUD as of May 2018. The companies captured operate in 43 countries and would cover payment information from approximately 150 separate projects. Australia is the most represented country with 49 companies reporting operations with new disclosure coming from 18 countries who currently have no EITI or mandatory disclosure laws where this level of disclosure would be the first of their kind by extractive industry companies. Access the data set used here. Australian companies have a long history in extractives, particularly in the mining sector, both domestically and abroad. Australia’s global presence far exceeds its size and it is one of the leading extractive industry players globally, with over 700 Australian Stock Exchange (ASX) listed companies operating in more than 100 countries. Australia also enjoys a strong and positive international reputation for mining expertise and governance. 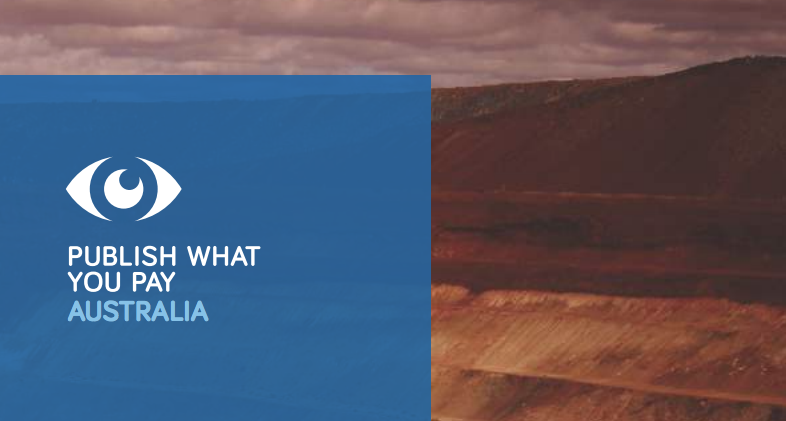 This report analyses publicly available data in an attempt to draw a comprehensive picture of Australia’s extractive presence – by company, country and project. It shows stakeholders a regional snapshot of what a mandatory disclosure law would cover in the Australian context and how this would enable citizens and governments to ensure that they are receiving a fair deal for the extraction of the natural resources. It also demonstrates how Australian policy can support the sustainable development of natural resources in the countries it operates in. Using data, it argues for the introduction of a mandatory disclosure law which would align Australia with the global reporting standard set by the 30 countries who have already implemented it. PWYP Australia proudly releases this report through the PWYP Data Extractors programme. It demonstrates how important open data is to increasing transparency in the extractives sector, building evidence based policy, and ensuring citizens and governments around the world are benefiting from the extraction of their natural resources. The Overseas Development Institute carried out a study testing PWYP’s coalition model. Below is the introduction, click here to read the full report. Since its inception in June 2002, the PWYP campaign coalition has grown from a few UK-based organisations to become a global network of more than 700 organisations in almost 60 countries organised into a fairly loose alliance of affiliated national coalitions. Some of these coalitions share the same PWYP brand and logo, while others have distinct and independent identities. All, however, share the same status of affiliation, without differentiation. With the growth and evolution of the global campaign has come two particular challenges. Firstly increasing demands on the international secretariat for coordination and support to national coalitions far outstrip its current capacities. Secondly, despite the important achievements of the campaign at the international level, national coalitions continue to face numerous operational challenges, which undermine their effectiveness to advance the advocacy agenda at national level. These problems are to be found at different levels and to differing degrees, though they are present in almost all coalitions in the resource-rich countries. 1. To test the organisational theory of change (“the coordinated, collective actions of a diverse coalition of organisations will be most effective in driving policy change for greater extractive industry transparency”) and assess the extent (and where, why and how) to which this theory has been proven at national level (or not). 2. To assess the operational difficulties of coalitions and to recommend good practices for how coalitions can best be managed and supported. The study began with a review of 10 country coalitions, selected in consultation with the International Secretariat: Ghana, Niger, Mongolia, Kyrgyzstan, Nigeria, Chad, Indonesia, Australia, US and UK. Of the ten countries, field trips were conducted in first four while the remaining six were studied remotely through telephone interviews. After preliminary analysis of the country reviews, a number of common themes were identified. These were tested across a wider sample of opinion through a Delphic consultation conducted through two mechanisms at the PWYP conference in Amsterdam in 2012 – an instant vote system of up to 100 delegates within a session at the conference, and distribution of a paper questionnaire to all participants who were then able to answer on paper or online. The survey received 54 responses. This brief analyses the current level of disclosure by extractive companies listed on the Australian Securities Exchange and reviews the responses of investors on the introduction of country-by-country and project-by-project reporting requirements for Australian listed companies.